Top Notch Material: Pretend Play is Made Better with the Costumes at Aeromax Toys! Pretend Play is Made Better with the Costumes at Aeromax Toys! My son loves to play dress up. He spends most his day as a dinosaur, robot or sheep so when I saw that Aeromax had amazing costumes for boys I had to look around. My four year old immediately fell in love with the police officer suit and has been wearing it non-stop. This super cute costume is made very well and offers a belt, with gun holster and hate along with the one piece suit. The fabric of this suit is not flimsy at all and I anticipate this holding up for a long while. My little man has been running around putting all of us in pretend jail all day long, and I know he will be doing a lot more of this in the months to come. 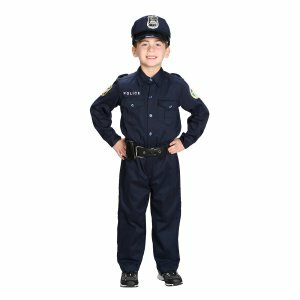 My son fell in love with the Police officer Suit, but it is not a new item at Aeromax. For Spring 2017 they have released the My 1st Career Gear and Orange Astronaut Tops and Astronaut helmets..and they even have an Astronaut Helmet with sounds and a Chefs Jacket and Hat. I just love Aeromax. There are so many stores that offer dress up costumes for girls, but there is very few that you can find for boys, or girls that would like to be something other than a princess during their pretend play, but Aeromax does. Not only do they offer great pretend play items, they offer QUALITY items that will last for years, and make your little ones happy. We have always been very happy with the items that we receive from Aeromax and I know you will be too. They not only offer costumes and pretend play items but some fun toys too. Oh my goodness....my boys had so much fun dressing up. Some of my happiest memories are of their shenanigans in various costumes...mostly home made or creatively put together by them. You know, big clear tupperware bowls over their heads that served as astronaut helmets etc.... Nice to see a company with boy products....as they like to dress up just as much as the girls do!